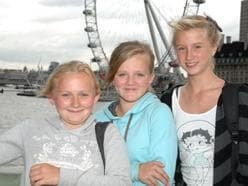 A visit to this part of Spain offers a great opportunity to introduce your pupils to Spanish life, culture and language. 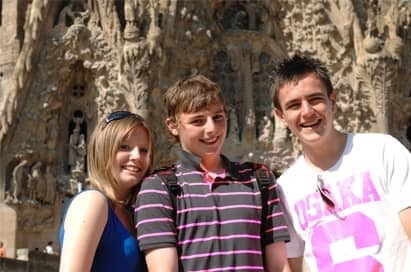 We’ll base your group on the coast in safe and secure accommodation that’s still within easy reach of Barcelona, and create an itinerary that suits the age of your pupils. 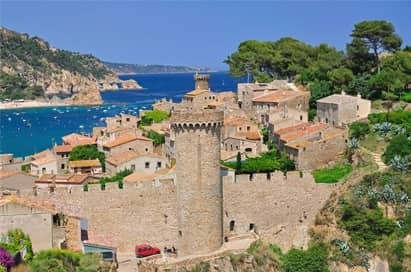 A primary school trip to the Northern Catalonian coastline allows pupils to explore the small fishing ports, mountainous villages, seaside towns and larger commercial tourist resorts. 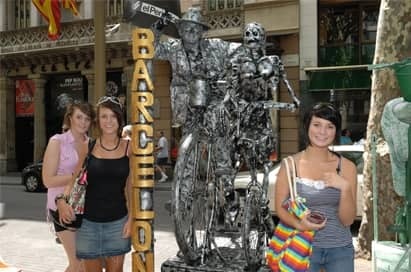 All these differing communities offer alternative aspects of Spanish culture and a diverse range of educational visits whilst also providing a relaxed and budget-friendly base. 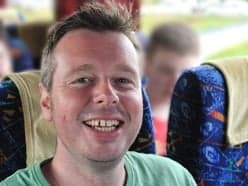 Price shown is based on 35 paying passengers departing from a London airport in October 2019 and is subject to availability. This typically Catalan town is famous as the birthplace and resting place of the artist Salvador Dalí. It’s also home to a fascinating toy museum and numerous shops and cafés. 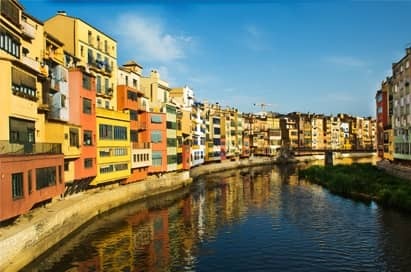 One of Catalonia’s most attractive towns. Its well-preserved old buildings and narrow stepped streets provide a delightful experience for students to explore its mix of Arabian and Jewish influences. Highlights include a visit to the Arabian baths, the Gothic Cathedral and the Jewish Quarter. 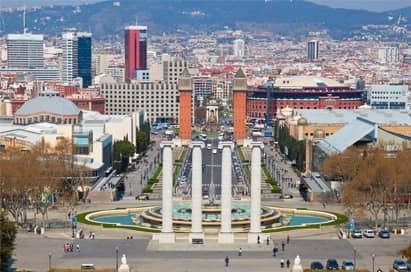 This historic, hilly area provides the best views of Barcelona. 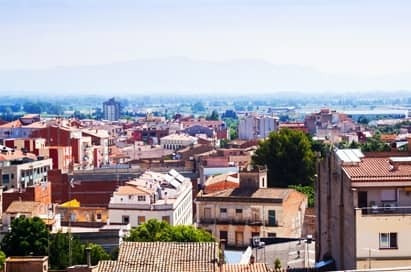 Students can explore its wide range of attractions, including the Olympic Stadium and the famous Spanish Village, Poble Espanyol, as well as artisan workshops and tapas bars. The Magic Fountain of Montjuïc offers a spectacular display of colour, light, movement, water and music too! Gaudí’s unfinished masterpiece remains a popular tourist attraction and a world renowned emblem of the city. 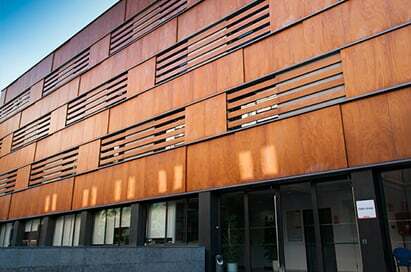 Students will be amazed by its sheer size and its architectural complexity. Based on Gaudí’s plans of 1954, this stunning building is still under construction and is due to be completed in 2026. During a visit here, students can walk up the spiral steps to see the openwork spires whilst at the same time stone snakes, lizards and frogs pop out from the architecture. Students will enjoy wandering along this famous street with its variety of shops, cafés, market stalls and street entertainers. 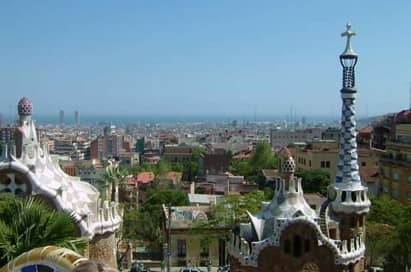 Take a visit to the famous park which was designed by Antonio Gaudí. Beautiful examples of his extraordinary work can be seen here. 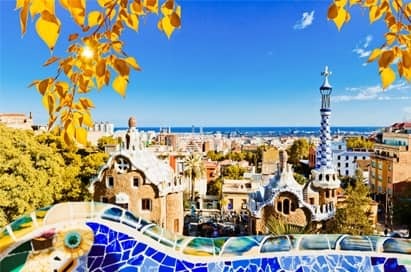 The serpentine pathways take you on a journey past a magnificent fusion of architecture and natural forms, benches shaped like dragons, a gatehouse topped with fly agaric mushrooms and Casa Batlló’s melting façade, resembling skulls, masks and sharks teeth. The park’s high-point also provides fabulous views of the city. A fascinating visit for all groups and a must for anyone studying 3D. Accompanied by a local guide, students will follow trail instructions and answer questions in Spanish in this informative and enjoyable way to explore the town. Our trails are an excellent method of getting students to read, repeat and understand Spanish signs, words and phrases. 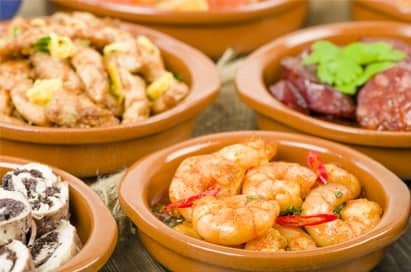 Taste a wide variety of traditional Spanish dishes at this fun and popular evening activity. Available within all resorts. 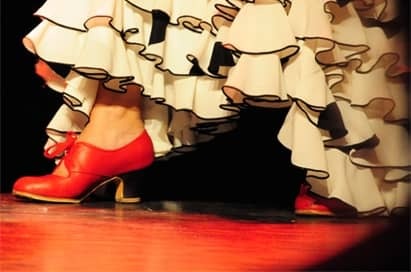 This fascinating show, based on the heart-stopping and passionate art of Flamenco dancing, is a must for groups and a true cultural experience from Spain’s musical heritage. 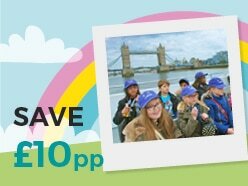 We have been working closely with PortAventura to bring you the very best value tickets. PortAventura has everything to make a trip here unforgettable! Both students and teachers will have a great time in the two amazing parks. 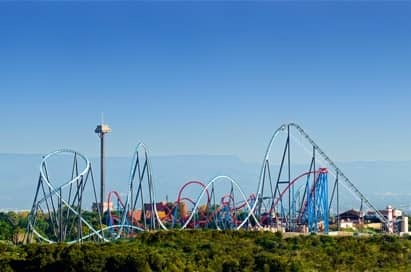 PortAventura Park is an astonishing amusement park divided in six thematic areas with many rides and shows. Costa Caribe Aquatic Park is a water park packed with waves and slides. Together you can travel around the six themed areas of the park: Mediterrània, China, México, Polynesia, Far West and SésamoAventura. Take in several shows, from the dazzling wonders of Teatro Imperial in China to the exotic dances of Polynesia and then enjoy the thrills and spills of the many, many rides. 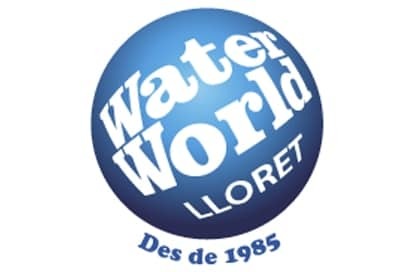 The largest water park on the Costa Brava has numerous water rides and even a bungee-jump. 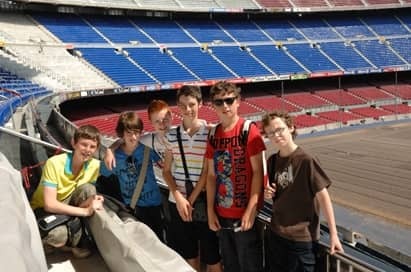 This world-famous football stadium offers students the opportunity to experience the awe-inspiring size of this venue whilst also learning about the heritage and history of Barcelona FC.